One of the most revolutionary places for a gearhead to get a car back in the day (late 1960s) was at the Motion Performance shop in Baldwin, Long Island, New York, headed by Joel Rosen. Rosen, who raced on the weekends and changed back into a businessman during the week a la Clark Kent/Superman, knew how to tune an engine, and would guarantee your car would be an 11 second car on a quarter-mile track when he got through with it. The deal was this: a person would purchase a car (Chevys we’re talking about here) at the Chevy dealership called the Baldwin Auto Company or Baldwin Chevrolet, also in Baldwin, Long Island. 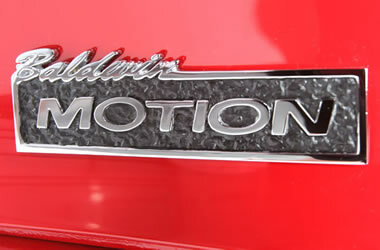 You purchased your Camaro, Nova, Corvette or Chevelle, etc., then you brought it on over to Joel Rosen at his Motion shop, where he would do his thing on the motor. Big blocks were the specialty, and he would always dyno them at 425-hp to 500-hp and up. No car was ever brought back! To say that each of these cars were masterpieces is fundamentally an understatement.